The examples shown below are general in nature and will provide only an overview. 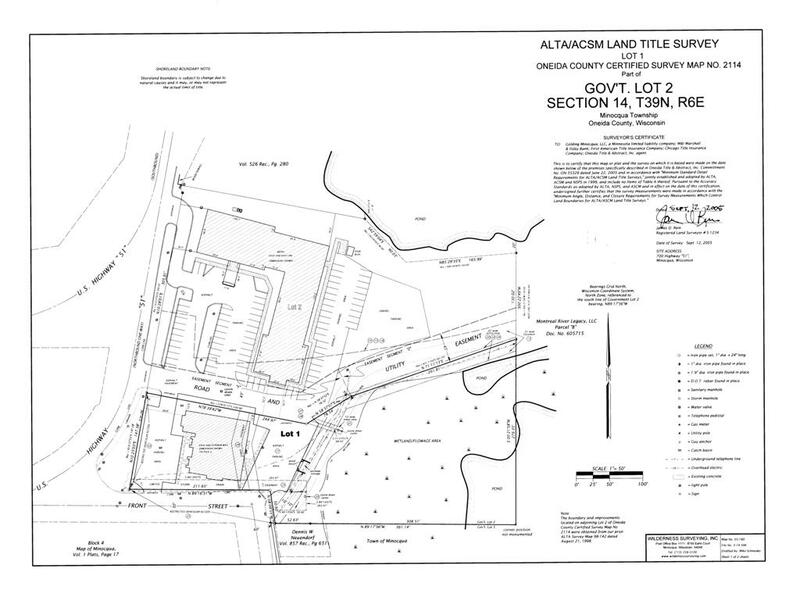 American Land Title Association (ALTA) and American Congress on Surveying and Mapping (ACSM) have set certain standards for this type of survey, which, depending on the nature of the property, is sometimes required to obtain a title policy. ALTA surveys commonly require a higher amount of detail than any other type of survey. Also called a metes and bounds survey, it describes the boundary of a parcel of land by identifying a place of beginning and proceeding in courses of bearings and distances, returning to the place of beginning. It also includes references to corner monuments. Wisconsin Admin. 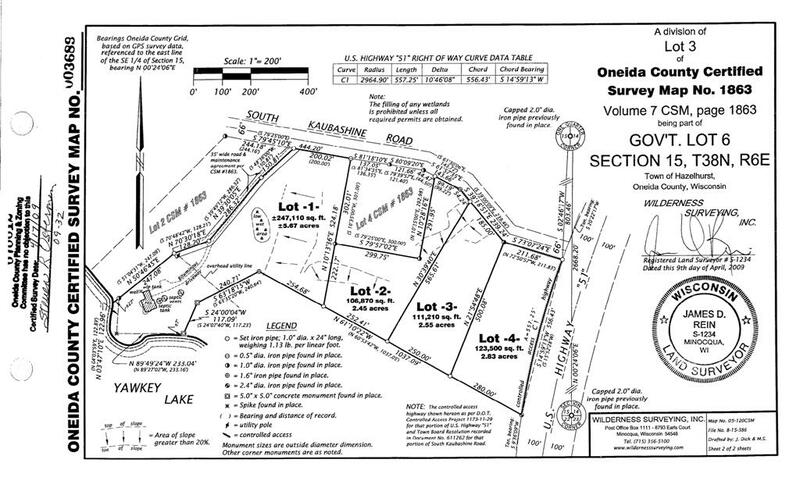 Code AE-7 specifies additional items to be included on the map of this type of survey. A map of not more than 4 parcels which represents the exterior boundaries of the land surveyed. CSM's allow for division, combination or reconfiguration of parcels of land. 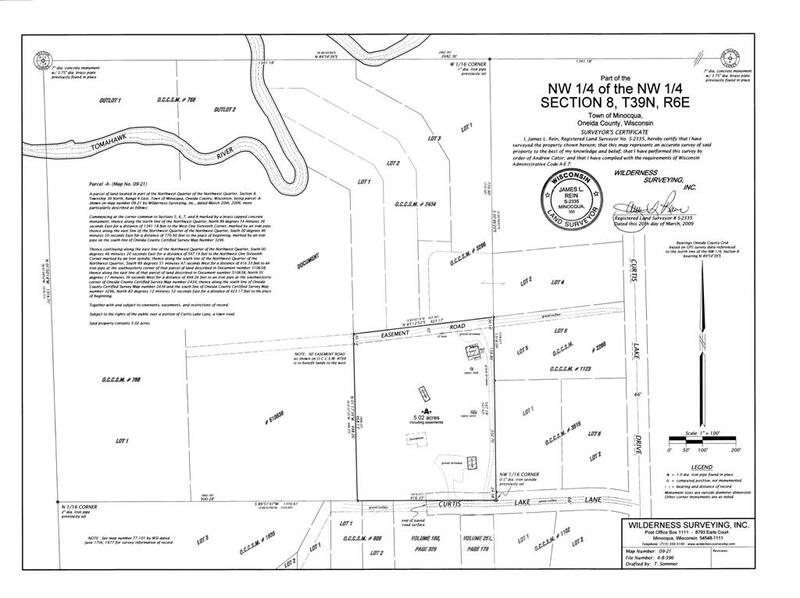 This type of survey has special requirements as specified in Chapter 236.34 of the Wisconsin Statutes and in some cases must be approved in the same manner as a final plat of subdivision. A plat showing the entire parcel boundary, individual unit boundaries, existing buildings (or buildings to be placed) in relation to the boundary, indicating limits of ownership. Common elements, limited common elements and declarations are all parts of the condominium. 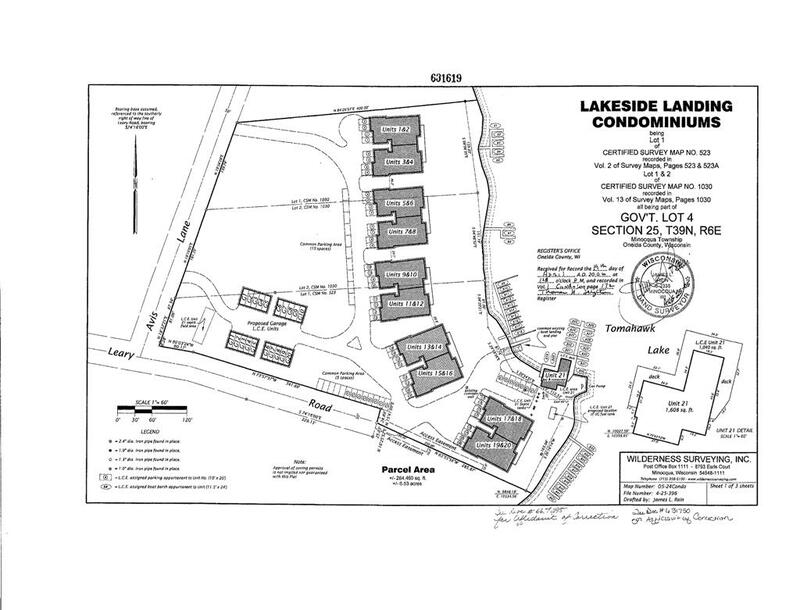 Specific plans show the floor plan dimensions and area of each individual unit. Chapter 703 of the Wisconsin Statutes pertains to Condominiums. 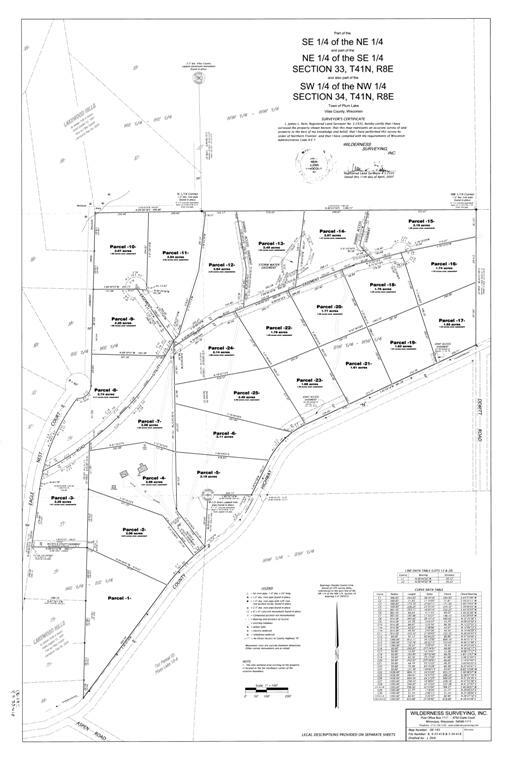 As defined by Chapter 236 of the Wisconsin Statutes, a subdivision is the creation of more than 5 parcels of land under 1.5 acres within a 5-year time period. This project involves a survey of the exterior boundary of the tract to be divided, design, and layout of the interior lots. This survey is usually performed to conjunction with another type of survey. 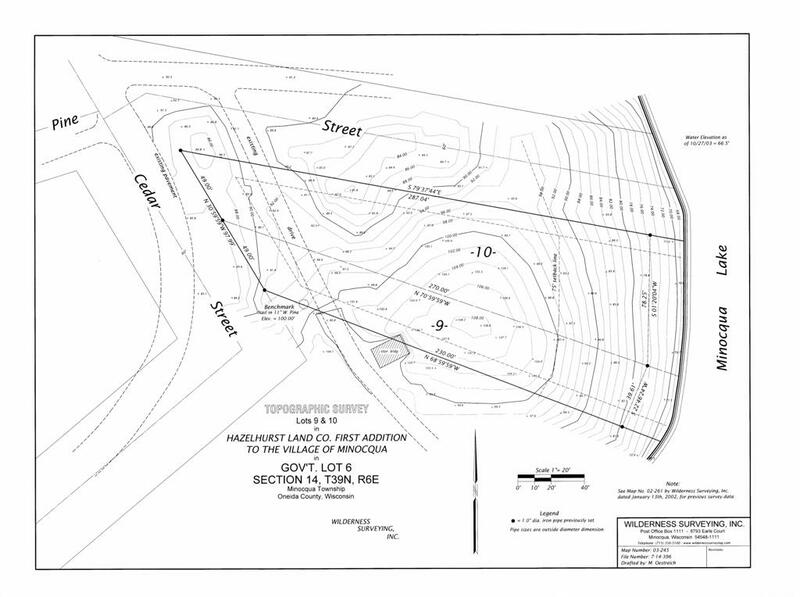 TOPO surveys show specified elevations and contours. Natural features such as streams and lakes, and artificial features such as fences, buildings and landscaping can also be shown.